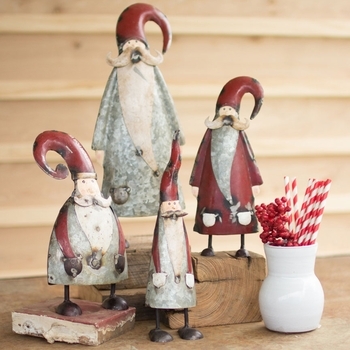 Sassy little ceramic deer servers, a trio of standing metal recycled angels and snowmen, a garland of recycled corrugated metal snowflakes. These are the lesser known elements of holiday cheer! 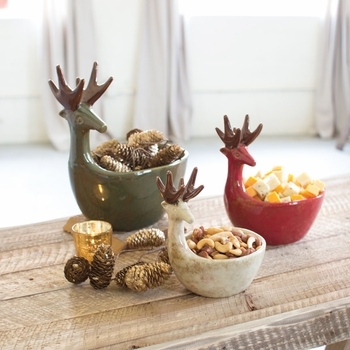 While everyone else is reaching for the tartan stockings and color coordinated ornaments, you can feel good about decorating with something re-born. Just as cheerful as all the rest, a Country Original comes with a back story. 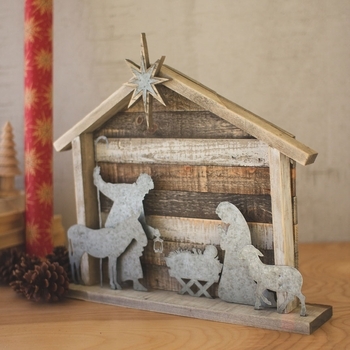 The rustic nativity scene is breathtaking in its simplicity and the angel ornament has graceful metal wings and a bell chime. Childlike in their depiction and wearing colorful paint, these treasures with a past are a gift you give yourself - or someone like-minded!